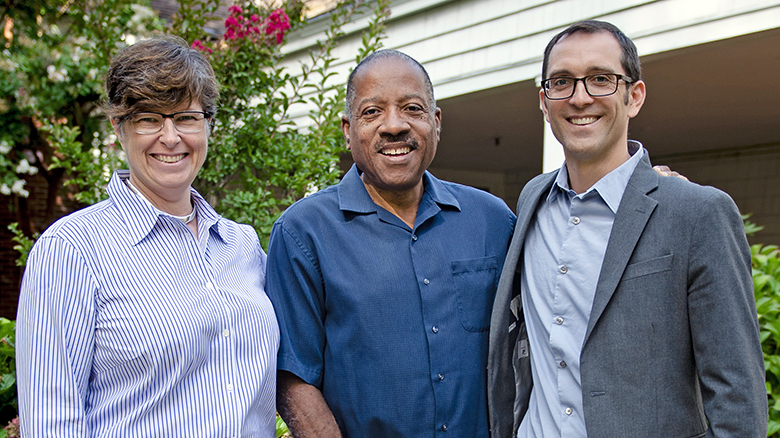 Not only are they some of the best teachers in the nation, SOJC faculty members are also active change agents in their industries and groundbreaking researchers in their fields. Here’s a sampling of select faculty research and creative projects making an impact. On April 11–13, 2019, SOJC faculty will host the ninth annual “What Is…?” conference-experience in Portland. “What Is Technology?” attendees will take a close look at the places where practical arts interact with tools, techniques collide with processes, and moral knowledge meets imagination to navigate our ever-changing media universe. We’ll also explore meta-disciplinary research and its impact by cultivating the communications that lie at the heart of technology, science, art, engineering, mathematics, and environments. When polls showed that Americans’ trust in the media fell to 32 percent, SOJC researchers and journalism instructors Lisa Heyamoto and Todd Milbourn decided to find out why. They hosted community discussions around the country to ask what might be done to repair it. Read their recently published SOJC Agora Journalism Center report to learn their six insights about public trust and four recommendations to journalists. 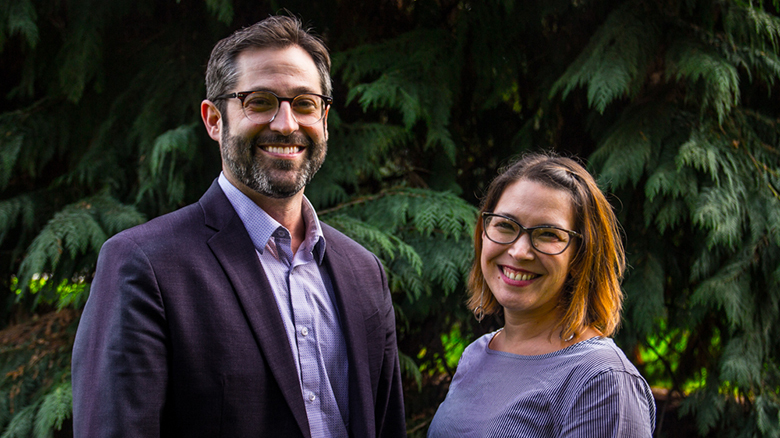 Launched in 2017 by SOJC faculty Kathryn Thier, Nicole Dahmen, and Brent Walth, the Catalyst Journalism Project brings together investigative reporting and solutions journalism to spark action and response to Oregon’s most perplexing issues. 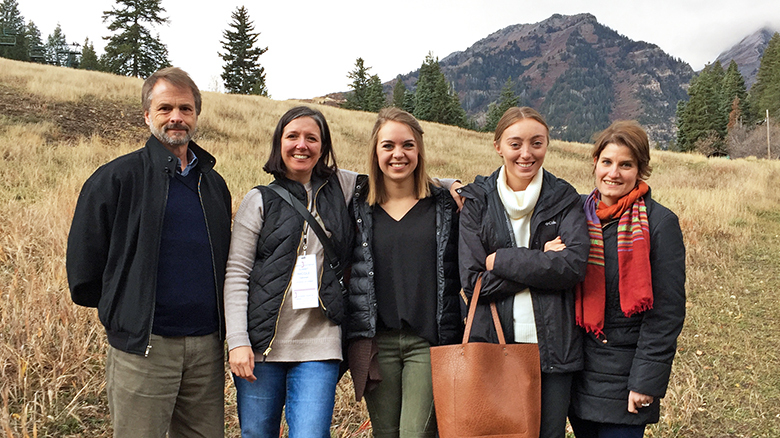 A partnership with the Solutions Journalism Network, the project combines student experiential learning with faculty research to help journalism put greater pressure on leaders to solve problems by showing readers that problems are not intractable. In virtual worlds like Second Life, we can take on new identities, defy the laws of biology and physics, and push social boundaries with little to no consequence. But do these online experiences have any effect on our real lives? 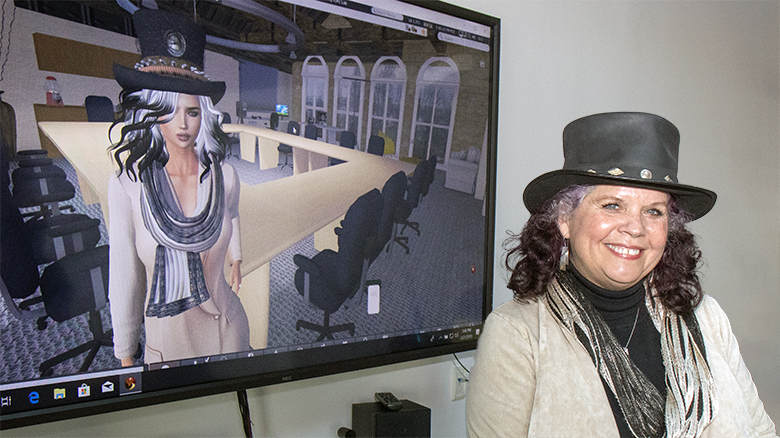 Associate Professor Donna Davis's National Science Foundation–funded research shows how interacting as an avatar improves quality of life for people with disabilities. College students from underrepresented groups are 16 times less likely to do well in STEM (science, technology, engineering, and mathematics). To change this, the National Science Foundation awarded Assistant Professor Ed Madison and his College of Education colleagues a $1.2 million grant for My STEM Story. The project pairs Oregon high school students from diverse backgrounds with STEM undergraduates for a mentoring program on the UO campus—with a digital storytelling twist. Journalists often ask, “How can I get better at engagement?” The answer is simple: You need to listen. 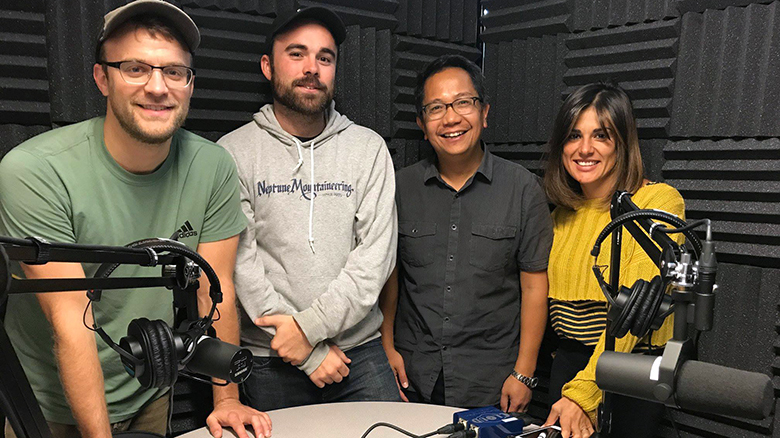 That’s why the SOJC Agora Journalism Center launched the Listeners Podcast, a free audio series about the craft and practice of listening. Weekly guests include top names in engagement journalism and others whose jobs require deep listening, such as clergy and mediators. SOJC Chair in Journalism Innovation and Civic Engagement Andrew DeVigal hosts the series, and Multimedia Journalism Master’s students produce it. 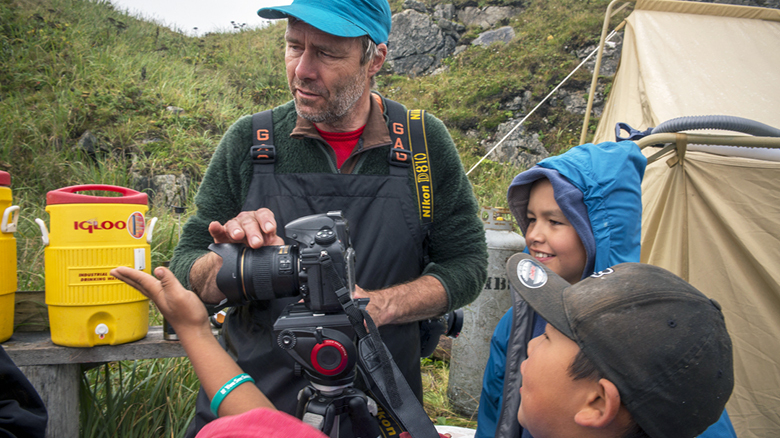 Professor of Practice Torsten Kjellstrand got the idea for “Unvanished: Seeing American Indians in the 21st Century” during a classroom discussion on the ways photographs can lead to beautiful truths—and ugly distortions. With the help of a grant from the SOJC's Agora Journalism Center, Kjellstrand worked with five SOJC students and Native American photographers from reservations around the Pacific Northwest to capture images of modern life as an American Indian. Many of the skills journalists use—from reading and writing to researching and asking thoughtful questions—are the same abilities students need to succeed in school and their future careers. That’s the philosophy behind the Journalistic Learning Initiative, an SOJC collaboration with the College of Education. 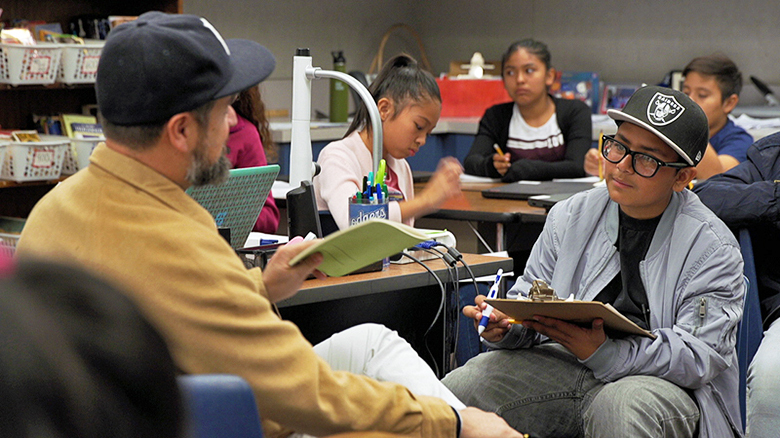 The program has already begun improving learning outcomes for underserved middle and high school students in Oregon and California.